Growing bananas in pots are very easy, if you can’t plant bananas on open land because of lack of land or cold climate, you can grow them in pots. Learn how to plant banana trees in pots in my article. Bananas have many varieties, there are types that are resistant to low temperatures and grow well in pots. This banana is very popular among fans of tropical plants. Ok, maybe you ask yourself, does the banana tree planted in the pot produce fruit? 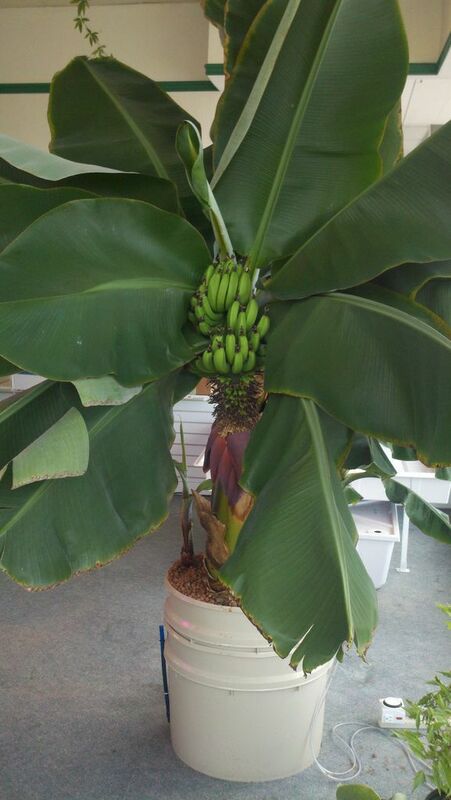 The answer is “yes”, banana plants that thrive in pots can produce fruit. If you plant from seeds, the time needed to produce fruit can be 3 or even 5 years. The variety of dwarf bananas can grow anywhere even in pots. The height can reach two meters to 4 meters. This is very short when compared to ordinary varieties that can grow to 15 meters. If the climate of your place is tropical like Indonesia, then growing bananas in a pot is very easy. 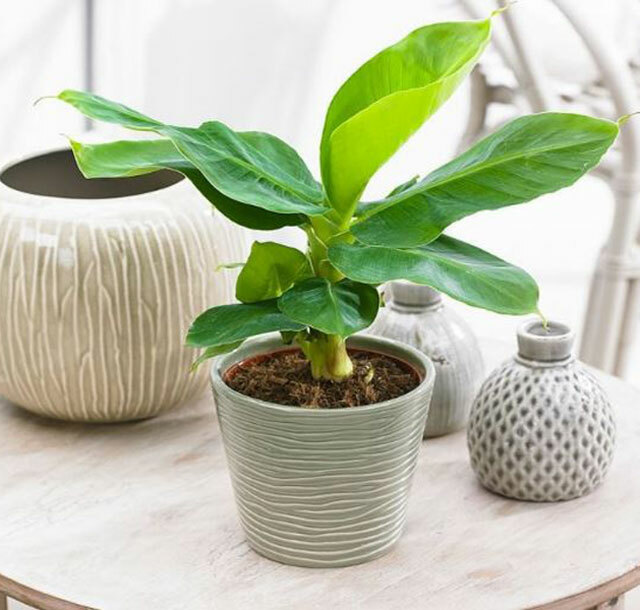 Just need a little care and don’t even need treatment, bananas can grow well in pots or containers. But if you live in USDA, zone 9 to 11, you need treatment so that the banana can survive in your pot. Especially during the day, you have to shade a banana tree so that it doesn’t perish due to the heat. In addition to the variety, there are varieties of ornamental bananas that are suitable for planting in pots. Among the varieties of popular ornamental bananas are Ensete ventricosum, Musa sikkimensis ‘Red Tiger’, and Musa ornata. Pay attention to the following if you want to plant bananas in a container. Not as difficult as you imagine. 1. Sun. 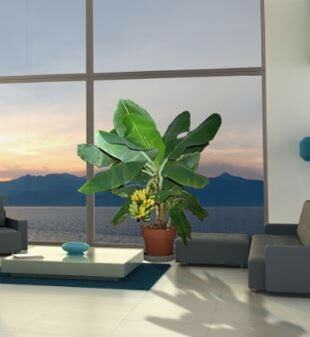 Banana trees are plants that grow in tropical and subtropical regions, so they need full sun, warmth, and humidity. If you grow it in a pot, this treatment is very easy, you need to put your pot in a location that is reached by total sunlight but you should avoid the wind. 2. Soil. Growing banana trees needs dry soil and the drainage is smooth and not flooded. It is good to grow in a sandy place that is rich in perlite, and organic matter. If you prepare the planting media from home, then mix sand, perlite, and manure or compost. The pH of the soil to grow bananas must be between 6-7. Bananas need a little acidic soil to produce bananas rich in nutrients and potassium. 3. Watering. Banana trees as large as the trunk are full of water. So, it is a plant that likes moisture. Flush every day but don’t overdo it. Reduce watering in winter. However, in summer you have to water every day even twice a day. Check the soil every day and maintain soil moisture. Banana trees need high humidity above 50%. To maintain this moisture, you always maintain the condition of the soil in a pot, preferably using gravel on the ground in a pot to keep it moist. Stones can withstand heat, thus reducing dryness. Banana trees will stop growing if the temperature drops below 50 ° F. Before entering the winter, prune banana leaves and heavy mulching, you can use wood waste or rice husks to cover the banana stems. Place banana pots in warm places until spring. Banana trees including plants are quite resistant to pests and diseases. If you see the leaves turn yellow it indicates a lack of nitrogen. Some types of pests that commonly attack bananas are banana leaf lice, coconut scale, and banana weevil lice. You can kill the diseases by using the pesticides or organic pesticides.